Reading the weekend Google craft beer alerts is sometimes a treat. You never know when something interesting or surprising is going to pop you straight between the eyes. Such was the case today. If you spend any amount of time looking at or thinking about beer, you probably know craft beer market share is up and macro-brew market share is in decline. What you may not know is that some of America's most popular traditional beers are in virtual free fall. Of the 30 most popular brands, 8 saw their sales decline 30 percent or more between 2006 and 2010. That is staggering. The self-styled King of Beers...the beer with the red, white and blue labeling. Between 2006 and 2010, Bud sales dropped 30 percent. When you consider that Bud sold 18 million barrels of beer in 2010, the 30 percent represents something like 7 million barrels over five years. That's massive. 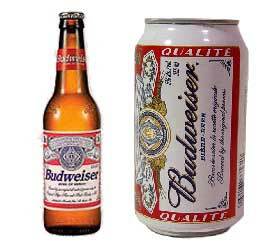 Never a very big selling beer, Milwaukee's Best Light has been squeezed out by the larger brand light beers like Bud Light and Miller Lite. Sales in 2010: 1.3 million barrels. Often referred to as MGD, this is Miller's unpasteurized, cold-filtered beer. It was introduced in 1985 and peaked at 7 million barrels sold in 1992. Sales last year: 1.8 million barrels. Astounding. Once a flagship of Pabst Brewing Company, Old Milwaukee has been squeezed out of the best store shelves by the power of Anheuser-Busch and MillerCoors, and possibly also by growing craft inventories in some areas. Once sold 7 millions barrels in a year. That was in 1990. Now down to 925,000. Yikes! 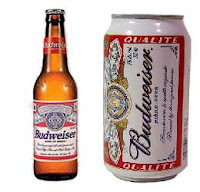 Anheuser-Busch's big product in the low calorie beer segment with 99 calories/can. Bud Select was introduced in 2005 and has lost sales ever since. Released in 1978 to compete with the success of Miller Lite, Michelob Light never made the grade. Sales peaked in 1994 at 2 million barrels. Now down to 525,000. 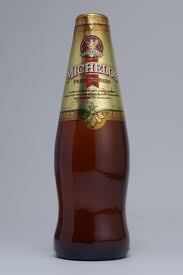 Launched as a premium alternative to imports, Michelob never did all that well. Today it is being eaten alive by the craft segment and imports. Sales for 2010: 175,000 barrels. For probably a variety of reasons, light beer is taking over the macro segment. You don't see Bud Light, Miller Lite or Coors Light on this list. Those beers may not be in high growth mode, but they aren't big losers like the traditional, mainstream beers. Demographics are undoubtedly driving some of this, with aging baby boomers, as well as young party animals, looking for lighter alternatives. The rapidly expanding craft segment (14 percent for the first half of 2011) is hitting macro market share from the high side, essentially wiping out the top and middle. People who want beer that tastes good aren't reaching for a Budweiser, Michelob or Killian's Red these days. They know better. Instead, they increasingly reach for a craft beer produced somewhere nearby. Where will this lead? I'd say the big guys will continue to chase the light beer segment. There's a lot of money on the table. At the same time, they will be looking to expand their craft portfolios. Anheuser-Busch has a good thing going via its ownership share in the Craft Brewers Alliance (Widmer, Redhook and Kona) and ownership of Goose Island Brewing. Coors owns the Blue Moon brand. It seems likely this trend will gain momentum as the macro industry sees its market share slide.